Laurence Mark Wythe is an award winning composer, lyricist and writer with a background in music theatre and is one of the leading creators of new British musical theatre. During the last year productions of his work include MIDNIGHT in Seoul, Korea (book and co-lyrics with Tim Knapman), TOMORROW MORNING (book, music & lyrics by Laurence) in Korea, USA, Germany and Italy and CREATIVES with a script by Irvine Welsh and Don de Grazia, at the Edge Theatre in Chicago and then at The Pleasance at the Edinburgh Festival Summer 2017 with a full original score by Laurence. CREATIVES is now being developed further. MIDNIGHT opens in its world premiere in the English Language at the Union Theatre in London in September 2018 produced by Debunk Theatre. It’s a haunting new musical thriller that matches a darkly witty psychological drama with a heart-breakingly beautiful score, with music and lyrics by Laurence and book and lyrics by Tim Knapman. Laurence and Tim have also teamed up to write a family musical GROWL which is being workshopped by the National Youth Music Theatre at the beginning of August. Laurence has recently composed the original music score for new film THE LAST LAUGH by John Godber produced by Visualize Films which premiered on 8 October 2017 prior to theatrical release. Laurence’s original new musical THROUGH THE DOOR (book by Judy Freed) has also played in Korea recently. During the show’s development it was shown in New York starring Kerri Butler (Hairspray & Little Shop of Horrors) at the Roy Arias Theatre in the TRU Voices New Musicals Reading Series and in Detroit, Michigan. The show was performed in a West End Perfect Pitch gala concert at the Trafalgar Studios in 2009 starring Paul Keating (The Wizard of Oz) and Julie Atherton (Avenue Q). 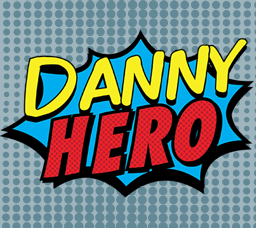 In 2016 Laurence and Tim Knapman were commissioned by Made in Corby to write a new community musical and DANNY HERO was a very successful production for the theatre that year produced in conjunction with Perfect Pitch and is now published by Theatrical Rights Worldwide (TRW). Laurence conceived, scripted and wrote the music & lyrics for the successful and award-winning off-Broadway (2011) musical TOMORROW MORNING which has now been seen on four continents and continues to be produced internationally every year. It ran in Tokyo, produced by Toho Co Ltd with packed houses at the Toho Creation Theatre as well as Seoul, Korea for three months and premiered in Austria as well as Lisbon, Portugal, in June 2014 starring well known Portuguese singer Wanda Stuart. Further international productions include Rome, Italy in 2018 and South America in 2019. A cast album of the Austrian production was released in 2015, in addition to the UK and American cast albums which had already been released. A four-hander, the off-Broadway production of TOMORROW MORNING was nominated for the Outer Critics Circle Award for Outstanding Off-Broadway Musical and Best New Musical in the Off Broadway Alliance Awards and in the Tina Awards. The musical won the 2009 Jeff Award in Chicago for Best Musical [midsize] and the award for Best Artistic Specialization. Laurence’s seasonal family musical THE LOST CHRISTMAS is available via Perfect Pitch Musicals and was produced at Waterloo East Theatre, London in December 2011 and previously at the Hazlitt Arts Centre in Maidstone. ROLL ON THE DAY, a musical written with Roberto Trippini which tackles a number of social issues, opened in March 2012 with four star reviews for a successful run in London at the Etcetera Theatre in Camden. Laurence wrote the original music for the Bailiwick Chicago production of Joe DiPietro’s play F**KING MEN which ran from June to August 2010. Laurence has written new musicals: STEALING MONA LISA which received a rehearsed reading with performances from West End stars Kieran Brown, David Badella, Jon Robyns and Matthew White in July 2013; and GIRLFRIENDS for Korean producers. HOOD at Lewisham Broadway Theatre, CINDERELLA at the Westminster Theatre, MAKING WAVES at the Fox Theatre, North London. Laurence composed for the short film DAVID (aka Kristina) which won Best Short Film (under 75 mins) at the Swansea Bay Film Festival 2005. His FANFARE FOR THE HARD OF HEARING was commissioned by RNID for their 2005 campaign Breaking the Sound Barrier, which won Best Integrated Campaign at the Third Sector Excellence Awards. He also created songs for a pilot of a new children’s TV project for BAFTA award-winning production company Dandy TV and written music for advertising. 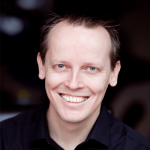 Laurence has taught/lectured at all of London’s leading musical theatre colleges and has been musical director for over thirty stage productions. As a tutor, he specialises in song performance & interpretation. Laurence is a director of Theatre Street Performing Arts Ltd, a not-for-profit organisation devoted to providing performing arts opportunities for young people in South East London.